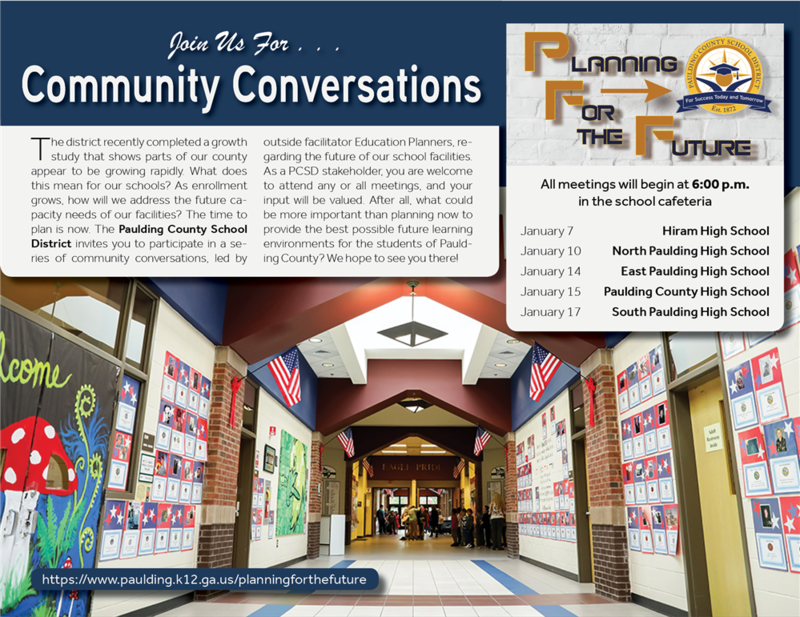 Paulding county Schools are having various meetings around the county to discuss the rapid growth they are seeing again after the 10 year lull due to the recession. If you have kids in the system or just pay for it via your school taxes you might want to go. I didn't hear about this until after the Hiram one was already over, but the North Paulding one is tomorrow night!! At this time, the school district has made no decisions nor developed any proposals to address the long-term capacity needs of its schools. The recently completed enrollment and capacity utilization study is the first step to assess the environment. The process of developing specific plans for individual schools, as well as identifying the funding that will be needed, will be an extensive process that involves substantial community input and stakeholder participation. If you are interested in this process, please continue to monitor this web site for future updates.